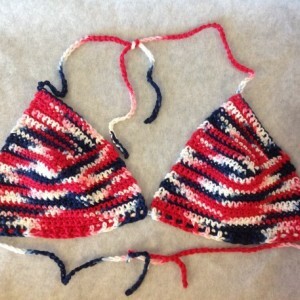 Fourth of July Red White and Blue Bikini Top. This comes in four sizes. S, M, L, XL. 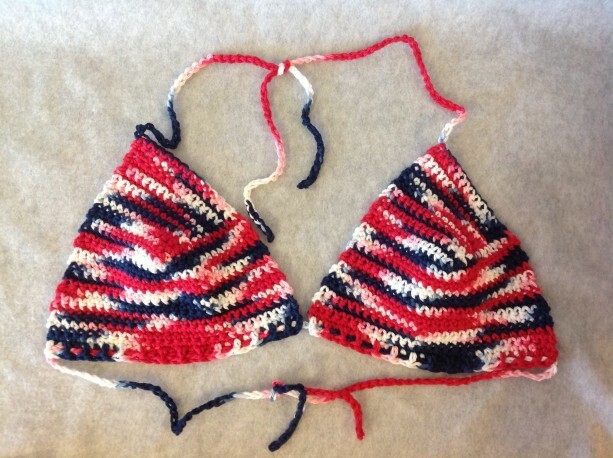 This is a cute Bikini top to wear for lounging around, or for parties. This top is made from 100% cotton and can get wet, it is not recommended to go swimming in. For measurements of each I'll give the cup size and the string length that ties around the torso. 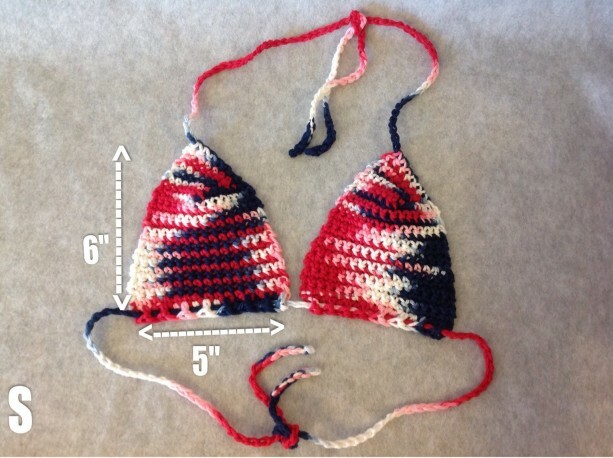 Each size should fit sizes A, B, C, and D cups. Make sure to measure either yourself, or something you already own to make sure it will fit. Measuments: Small: Cup: 5" wide X 6" tall Strap: 37" Medium: Cup: 6" wide X 7" tall Strap: 39" Large: Cup: 7" wide X 8" tall Strap: 41" Extra Large: Cup: 8" wide X 9" tall Strap: 45" All of the upper straps measure about 17" long. Both straps are meant to wrap around the neck and torso to be tied. This can be thrown into the washer and dryer, just on delicate cycle and tumble dry low. This item was made from a free pattern that I found on Ravelry. 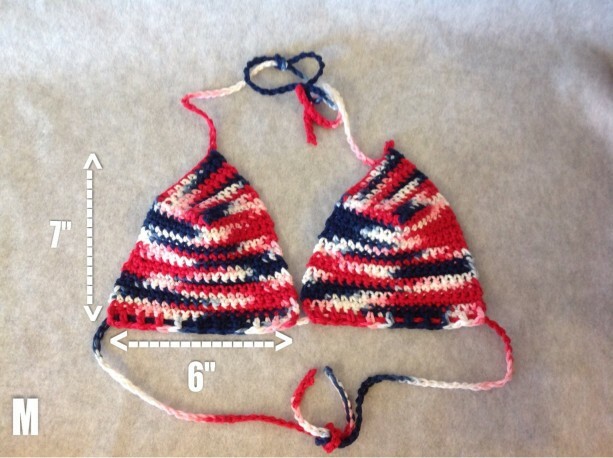 If you are interested in looking at the patern check it out here: https://www.ravelry.com/patterns/library/clover-bikini-top. You do need an account at Raverly in order to view the pattern.